1. Customer feels valued as their voice matters - When you take the time to ask customers how they feel about the quality of your business they feel at that time that their voice and opinions matter to your business. You will be able to gain direct responses as to their feelings about products and services, along with information regarding your customer service practices. This is very important considering that customers who are happy with your product but unhappy with your customer service relationships will have a poorer user experience overall. 2. All feedback is good feedback - Consider your business like the author or artist of your field. Even if you think you have developed the perfect products and services, something about your business practice, procedures or processes may develop poor customer response. 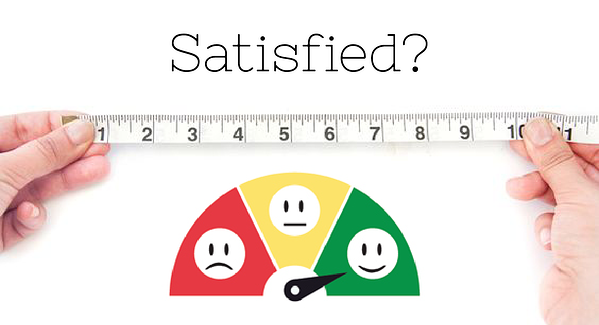 Every customer that responds to a survey helps to provide data as to the points of your business that are working successfully and the places that need improvement. 3. A satisfied customer is a loyal customer - Plain and simple, happy customers are going to return, or at the very least spread a positive word about your business. Whether it is for purchases in the future or even their service needs, they will come back. By determining the level of their satisfaction with every part of your business, you can feel secure in your future customer base. 4. Peace of mind that your customers are spreading a positive word about your dealership - Remember, collection of this customer data helps to determine the number of satisfied customers you have gained. While you are able to calculate the number of satisfied customers from your surveys and questionnaires, you can determine a rough estimate of the number of referrals to be gained from those customers as well. It's safe to say that one happy customer will remain working with your business and will likely also refer up to nine leads to you in the coming season. 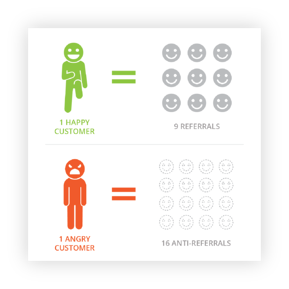 Now, it is also important to remember that a single unhappy customer means a loss of business, not just their future needs but also up to 16 anti-referrals because of their disapproval. With the boat show season complete and all those sales closed it's time to start putting together the data collection and analysis plans for a CSI campaign. Simply put together a list of goals that you would like to attain. Once all that is established, it shouldn't be a challenge at all to prepare for the needs of the upcoming season!